Strong white plastic. Made in the UK. Width across bottom, nine & quarter inches, front to back , four & threequarter inches. 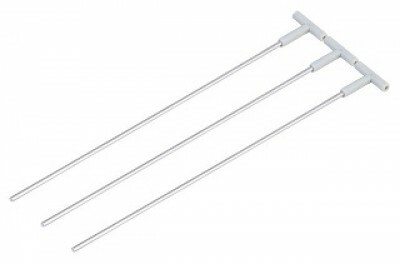 The perches slot onto two screws, enabling them to be removed for easy cleaning. Plastic perch in black plastic. Depth 11cm, width 30cm, height 12cm. 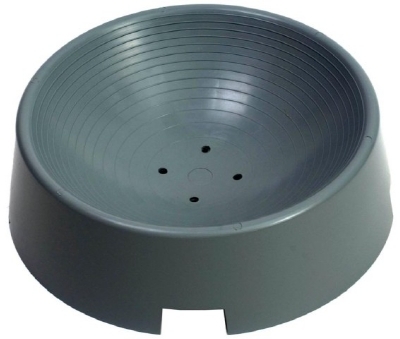 Nest bowl with ventilation holes, sturdy plastic. 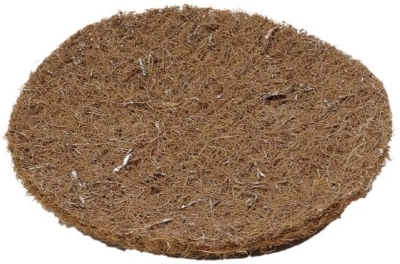 Brown Nest Felts. 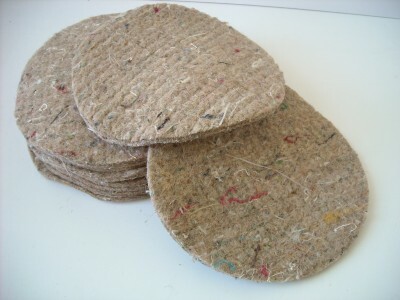 Comfy, warm and hygienic, nest felts help to stop chipped eggs. To fit a nest box approx 29" x 14" x 14". Includes two fronts, one door and five black block fittings. This item is not available for overseas shipping. 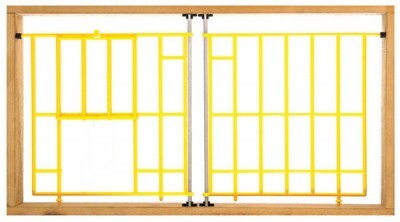 Belgium Type Super Rounded Widowhood-Nest Box Fronts, round cross-section bars, to fit a nest box approx` 29"x14"x14", includes two fronts, one door and five black blocks. Now only available in white. 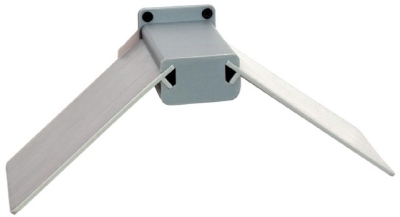 The fronts pivot on 2 metal rods, which can be removed when they are not needed,can be adapted to fit a nest box 24"x14" up to 31"x16". The wooden frame is not included. 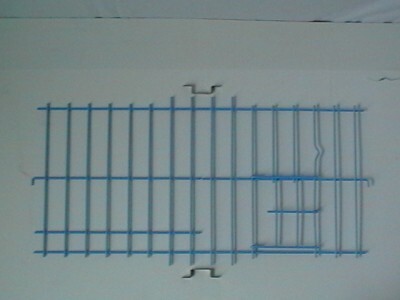 Plastic coated wire fronts. 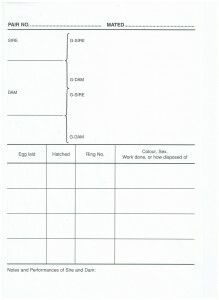 To fit nest box approx. 29" x 14.5" x 14.5". 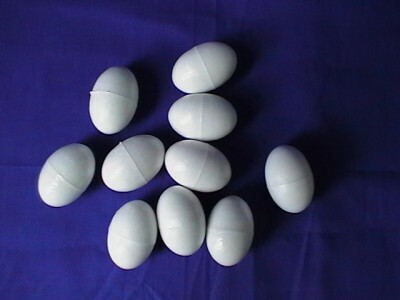 Solid plastic eggs, sold in packs of 10. 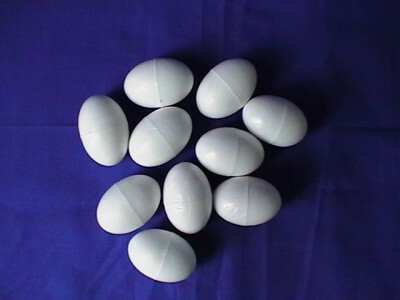 Hollow plastic eggs, sold in packs of 10. 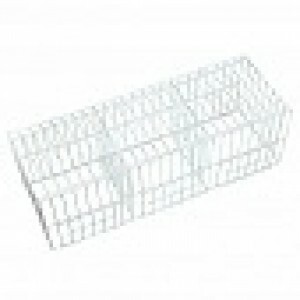 Plastic nest box grill 16" x 14". Use sheets of newspaper underneath, for quick cleaning. Can be cut to size. 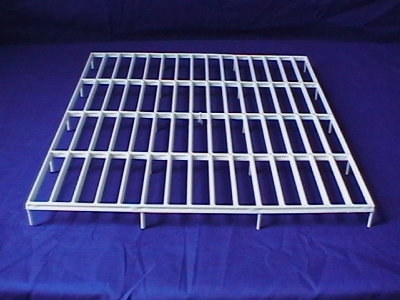 Plastic nest box grill 13" x 14". Fits Belguim nest box dimensions, can also be cut to size. 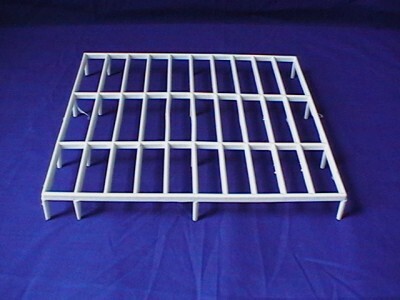 Plastic grill 10" x 10" . 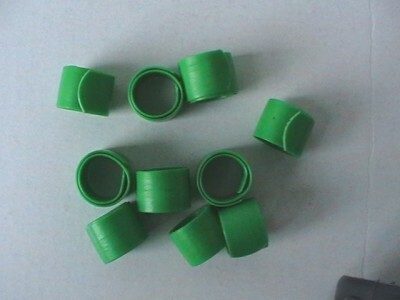 Use in box perches or under nest bowls, drinkers. 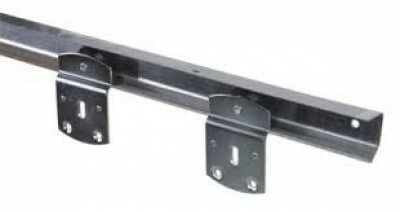 Sliding door gear. 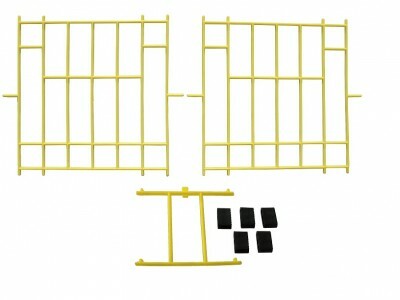 Includes 58" rail & and a pack of 2 wheels. 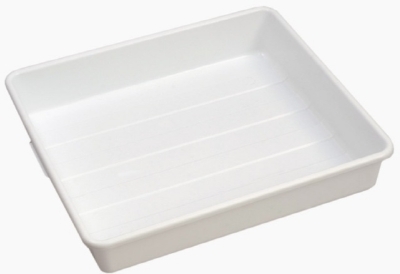 White plastic bath with plug to drain water. 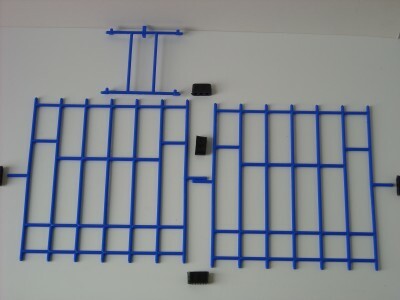 50cm x 57cm x 15cm, ( 22.5" x 20" x 8"). Low bath, 50cm x 50cm x 10cm. Available in 25cm & 30 cm. 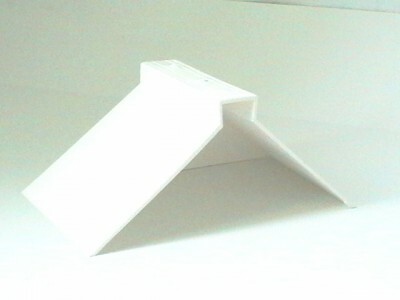 Plastic louvre 565mm x 260mm. 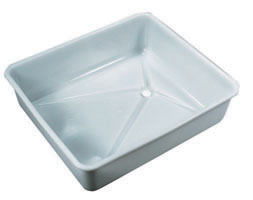 Supplied in a white colour. 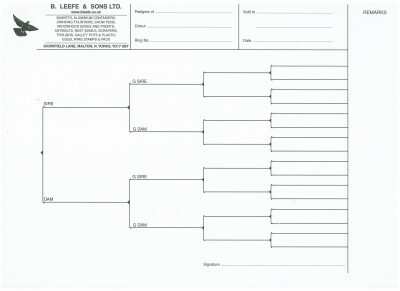 Plastic coated wire show pens. Set of 3 pens. 36" x 12" x 12". 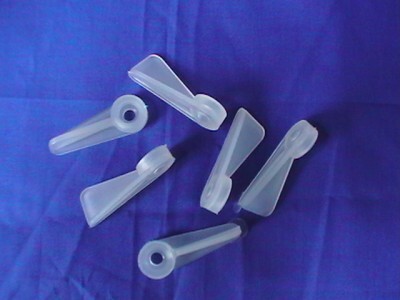 Plastic cage clips. Sold in packs of 10. Pigeon clip rings. Quick and easy to fit. 8mm. 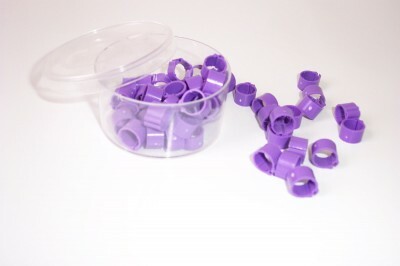 5mm pigeon clip rings in tubs of 50. Various colours available. 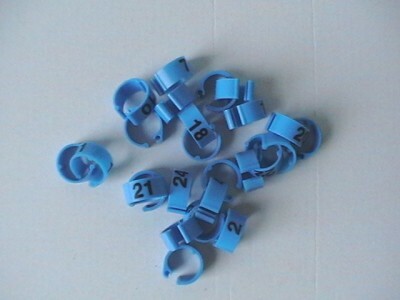 8mm numbered pigeon clip rings. Sold in packs of 25. Available in packs of 1 to 25, 26 to 50, 51 to 75 and 76 to 100. 8 mm diameter. Sold in packs of 10. 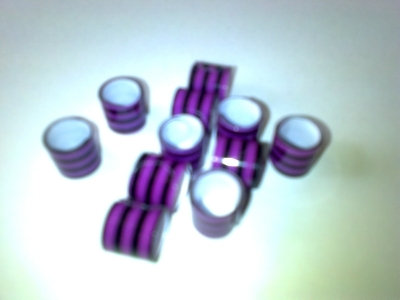 Striped pigeon leg rings, 8mm diameter and 9mm in height. 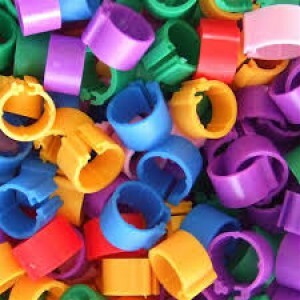 Available in packs of 10 rings. Our ever popular `Little Red` loft book, space for 60 pairs, pocket size. 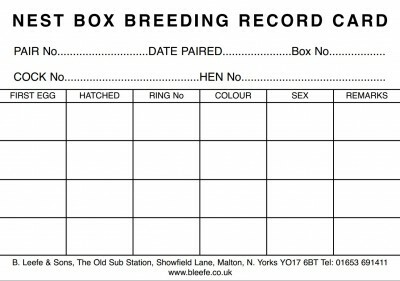 Nest Box Breeding Record Cards, often attached to the nest boxes to record first egg and ring numbers etc. 6" x 4". 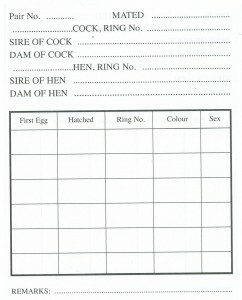 A4 size pages, space for 50 pairs. Pedigree Book , 25 pages. For judging eyesign,double lens. 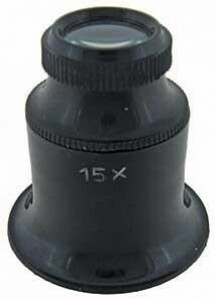 X15 and X20 magnification available. 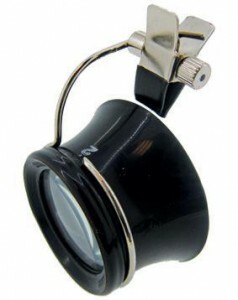 Eyesign glass to clip onto specs. 2.5 magnification of your current glasses. 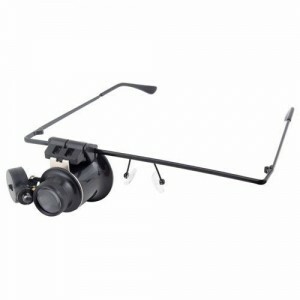 X20 eyeglass on specticle frame with light. 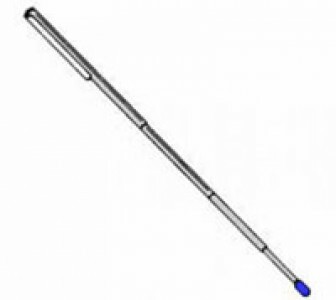 Chrome judging stick, 5`` closed and 24`` when extented. Includes a pen in the tip, under screw cap. 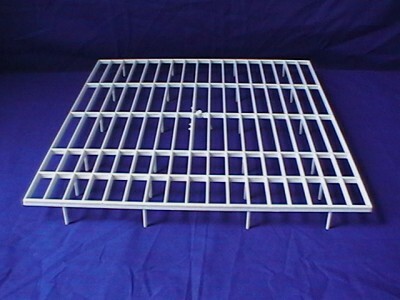 This unique product helps keep Raptors (Hawks), Magpies, Herons and other predatory type birds away from your garden area and allows your garden birds to feed and nest in peace. 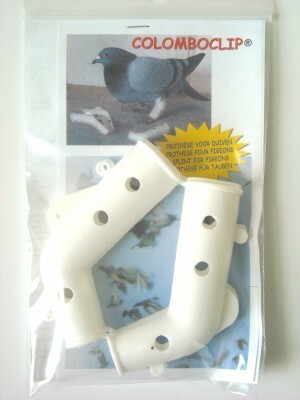 This product is widely used by racing pigeon fanciers to protect their racing pigeons. Through the recommendation of the Royal Society for the Protection of Birds this balloon is also used to protect domestic garden areas, garden fish ponds (from Heron attacks), free range hens, etc., and many wildlife sanctuaries. 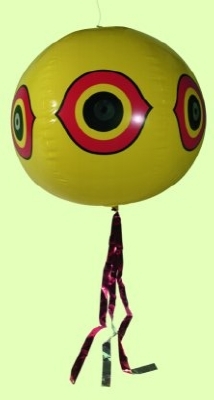 The balloon is made of strong vinyl with a startling eye pattern around the circumference. It can be simply inflated to about 22 inches in circumference and comes with a hanging thread and a streamer tail.